NEW YORK, NY – The Afrotainment Family of Channels announced today an agreement that includes the right for Videotron to distribute Haiti HD to its customers in Canada. 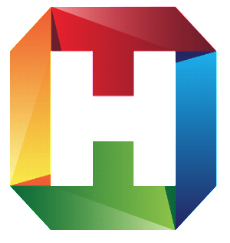 Haiti HD, a wholly owned Afrotainment channel is a 24/7 television network showcasing modern Haitian-American lifestyle via movies, talk-shows, entertainment news and music. Haiti HD is about the people of Haiti, their incredible stories, lives, successes, celebrations and challenges. Haiti HD is available on channel 269 for Videotron digital customers. “Our expansion on Videotron footprint marks an exciting milestone for our company and solidifies our leadership in multicultural black entertainment in North America” said Yves Bollanga, CEO of the Afrotainment Family of channels. The Afrotainment Family of Channels (www.afrotainment.us) is a NY based network of 9 TV channels targeting the multicultural black audience in North America. Our channels are available on DISH Network ,Verizon, Frontier, Optimum, Bell, Roku, Amazon Fire TV and Apple TV. Videotron (www.videotron.com), is a leader in Canadian telecommunications engaged in cable broadcasting, Internet access services, telephony and wireless telephone services. Videotron network reaches more than 90% of Québec households.